Earlier this year during a meeting with cardinals in Rome, Pope Francis announced that Salvadoran Archbishop Oscar Romero, gunned down at the altar while celebrating Mass on March 24, 1980, would be declared a saint at a ceremony to be held at the Vatican on Sunday, Oct. 14, 2018. Romero, already considered a saint by Catholics across the Americas, will be raised up for universal veneration together with Pope Paul VI, the pope who appointed him Archbishop of San Salvador in 1977. Just three years ago Pope Francis, the first pope from the Americas, formally declared that Archbishop Romero was a “martyr” for the Catholic faith, and authorized his beatification, which took place on May 23, 2015. In declaring him a martyr, Pope Francis expressed the church’s belief that Archbishop Romero’s murder was committed in odium fidei, in hatred of the faith. He was killed for proclaiming the Gospel and speaking out for the oppressed and suffering people of El Salvador. His holiness was forged in the midst of conflict, within a very complex political, cultural, and ecclesiastical context. Heeding the cry of the poor, he did what Jesus would have done and, in fact, what Jesus did – gave his life out of love for God’s people. At Immaculata University, I have had the privilege of acquainting undergraduate students with the heroic Christian life and witness of Oscar Romero. Each time I have revisited with students his courageous way of living the Gospel, I have been inspired anew by a man who lived his life for God and the poor, who spoke up for the dignity of the poor, and cried out, like the biblical prophets, against the injustices being done to the poor. What an outstanding role model he is for young people today, and for the whole church! Oscar Romero grew in holiness throughout his life. By the mid-1970s, violence increased in El Salvador as workers were exploited and peasants were massacred by death squads. At first Romero’s protests against the rich landowners and the government were raised quietly. But gradually he experienced a change taking place within himself that enabled him to see with heightened clarity and indignation the desperate plight of the poor and the terrible injustices they suffered. A new and challenging call from God was being heard deep within the heart and soul of Romero. A new Oscar Romero would emerge. On Feb. 23, 1977, Romero was appointed Archbishop of San Salvador. Within weeks of his appointment, his close friend Father Rutilio Grande, S.J., was brutally murdered as a result of his commitment to social justice. A pastor of a rural parish, Father Grande was helping peasants to organize farm cooperatives, raising awareness about their oppression by the wealthy landowners, and denouncing the government and its death squads for the torture and murder of the peasants. Father Grande’s death was a major turning point for Archbishop Romero. In its aftermath he underwent a profound spiritual transformation, awakening fully to the changes already stirring within him. It was a new experience of God and a new prophetic call to speak for God against the injustice and oppression, even at the cost of sacrificing his own life. In an interview two weeks before his murder, Oscar Romero said: “I have often been threatened with death. I must say that, as a Christian, I do not believe in death without resurrection. If they kill me, I shall rise again in the Salvadoran people.” He assured his people that he would not flee the cross but would accompany them in their struggles. In the sermon preached on Sunday, March 23, the day before his death, Romero appealed directly to the military to cease the violence in these uncompromising words: “In the name of God, in the name of our tormented people whose cries rise up to heaven, I implore you, I beg you, I order you: Stop the repression!” Romero’s tone, determination, and courage had grown increasingly strong. He was the prophet speaking for God! The next day, a single shot fired from the back of the chapel killed Archbishop Romero as he celebrated Mass. He was immediately acclaimed by the people of El Salvador, and by the poor throughout Latin America, as a true martyr and saint. Oscar Romero stands as a stellar example of the kind of church Francis envisions. He is a model pastor, a model bishop, a good shepherd who cared for his people, defended the poor, and demanded dignity and justice for them. We rejoice in the great honor paid to this humble man of God who followed so closely in the footsteps of Jesus of Nazareth. Oscar Romero — martyr, prophet, and now saint — for the Americas, and for the world! 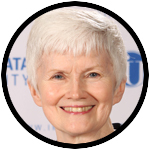 Sister Peggy McDonald, I.H.M., is a professor of theology at Immaculata University. Thank you, Sr. Peggy, for calling our attention to the heroic life and martyrdom of Bishop Romero. May his life and death inspire other bishops to be as brave!